Homeless bashers maneuvering for position to further their anti-humanitarian agenda. 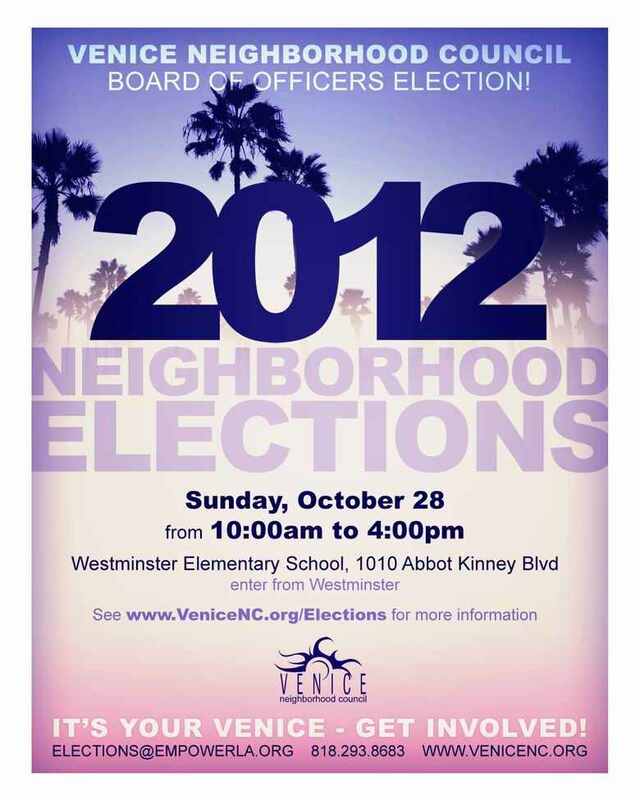 During this election time let’s take a look at what’s going on in Venice Beach California. The local politics in Venice has been slippery with the homeless bashers’ maneuvering for position, to further their anti-humanitarian agenda. Organizers with Occupy Venice, lawyers with the National Lawyers Guild, and Food Not Bombs have opposed the underhanded tactics taken to spread fear and misunderstanding directed toward homeless people. The Venice Stakeholders Association, led by Mark Ryavec, are responsible for much of the fear and hate. Ryavec believes that the City of LA is using a 50’s style social worker model that is enabling the poor. He, along with some others, want to use a criminalization model using the LAPD to arrest, ticket, and harass the homeless out of Venice. Ron Taylor, a long time homeless activist who fed people in the Rose Ave Beach parking lot for many years, said that his white migrant farm worker parents were turned back at the California boarder by armed vigilantes. What Ryavec and his cohorts want are nothing more that Depression Era, Grapes of Wrath, tactics, far more outdated than a 50’s social worker model. Board members of the Venice Neighborhood Council, some running for office or re-election on October 28, have worked with Ryavec to help with the manifestation of the fear toward homeless people. They also socially engage with members of his Venice Stakeholders Association. It has recently been revealed that one of the same Venice Neighborhood Council Board members who has actively worked with Ryavec on one of his anti-homeless campaigns is also working with Therese Dietlan, who sets up a political table on Ocean Front Walk (Venice Boardwalk) and is said to be a Holocaust denier. Dietlan displays and distributes literature that can be described as anti-Semitic and some of it denies the World War II Holocaust that murdered over 6 million Jews, gays, commies, the disabled, and dissidents. She also allegedly communicated with a neo-Nazi on the internet. The shocking part of this story is that the Board member who was working with Dietlan is Jewish. Surely Dietlan shares this person’s ideas about criminalizing homeless people or they would not have been working together, but she must have craftily hid her feelings about Jews. Another interesting tidbit is that Dietlan herself is running for a Board seat in the election and this Board member, who is Jewish, was recommending her! Well, that is until he was tipped off by a humanitarian, who helps homeless people and opposes the inhumane criminalization model. Deitlan was a regular attending member of a group called Friends of The Boardwalk. This group met prior to, and are rumored to have supported, the City in arbitrarily moving the beach up on to the Ocean Front Walk (a paved street) so that the Jones decision (making it legal to sleep on a side walk from 9pm-6am) would not apply and homeless people could be criminalized with the beach closed law – a law being enforced yet never approved by the California Coastal Commission. It was at one of these meetings that Dietlan said that “the homeless are running a meth lab on the beach.” A statement that even the LAPD scoffed at, but it revealed her spreading stories to create fear about homeless people. This story might be a message to the Jewish Venice Neighborhood Council Board member, who is also running for re-election and that was working with Therese Dietlan. If working with Ryavec, hanging with other Stakeholders, and supporting an agenda that criminalizes poor and homeless people takes you down a slippery slope so low that you are working with a holocaust denier, then maybe you should re-evaluate what it means to be an elected government official who supports human and civil rights for all his constituents, Housed or UnHoused.